With everyone cutting cords/ties from their cable companies more and more companies are making media players. One of these companies is Magg TV. 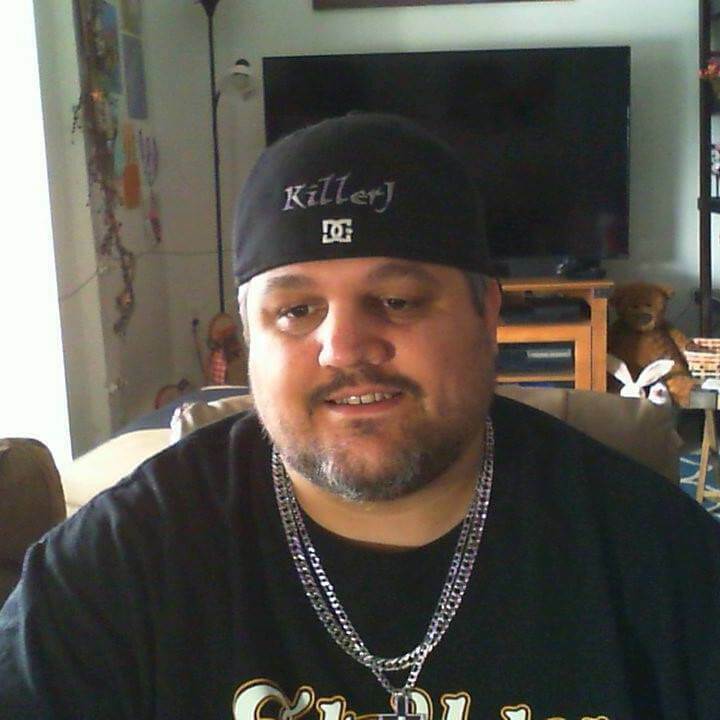 They sent me their premiere TV media player to test and review. 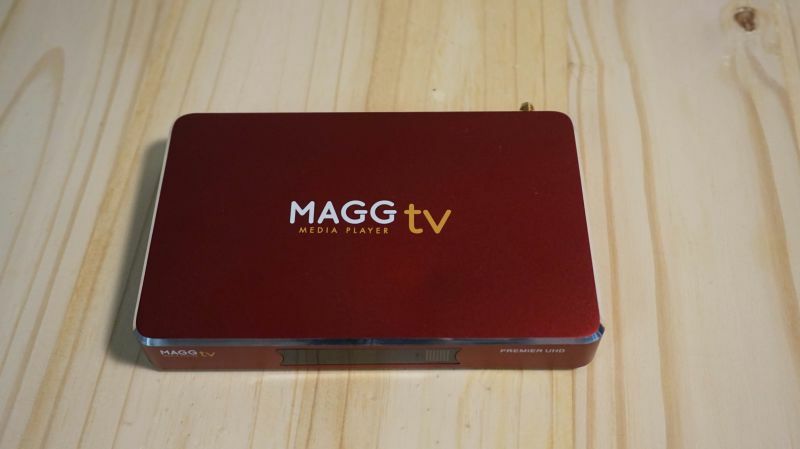 But is the Magg TV Media player more than just a media player? I will answer that further in this review for you. 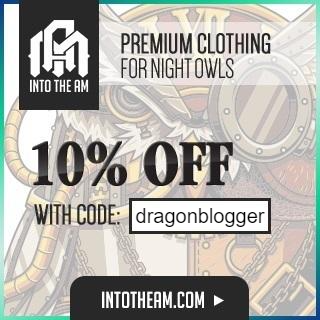 First, let’s talk about the package and what comes in it. The Magg TV media player package has the picture of the item on the front and some specs on the back. In the package, you get the device itself, an HDMI cord, power cord, antenna, instruction manual and remote control. Technical Specs of the Magg TV Media Player! The Magg TV media player comes packed with some decent specs. First is the 5.1 Android Lollipop operation system. You also have an Amlogic S905 quad-core 64 bit Arm Cortex A53 2.0GHZ computer processor. For the graphics processor, you have a Penta-core Arm mail-450. Internal storage comes with 8GB of EMMC. The memory is 2GB of DDR3. For the Ethernet connection, you have the standard RJ45 Gigabit Ethernet support. You also have 2.4Ghz and 5Ghz dual-band Wi-Fi. The Magg TV Media Box also comes with 3 USB 2.0 ports. 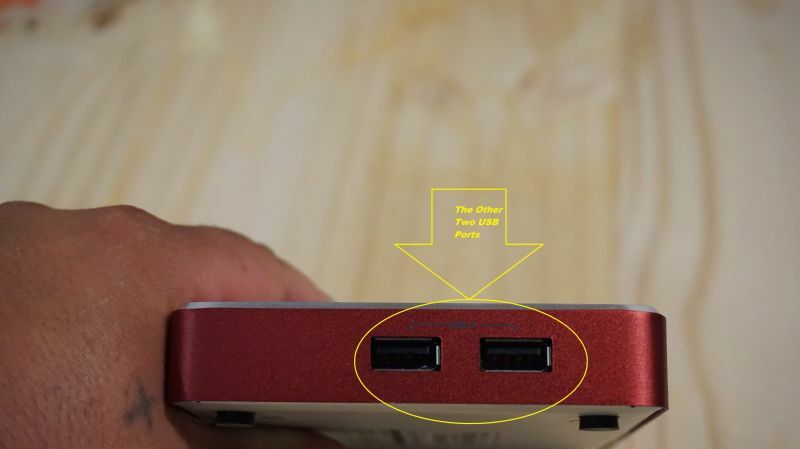 These ports can support USB flash drives and USB HDD’s. The HDMI 2.0 portal also supports up to 4k. It also comes with an SD card reader. You also have standard RCA connections for audio and visual. You also have an optical output. Let me show you the device and the ports. The Magg TV Media Player! 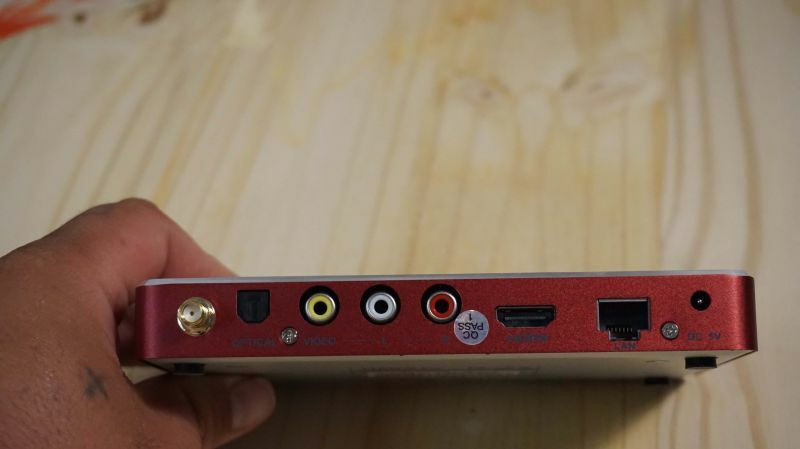 Magg TV Media Player Left Side Ports! Magg TV Media Player Right Side Ports! Magg TV Media Player Back of the Device! Check Out My Unboxing of the Magg TV Media Player Here! Hooking up the Magg TV Media Player! Hooking up the Magg TV premiere device is very simple and easy. You have two options for this. First, is using HDMI port. Your other option is using an RCA cord. Now you will also need the power cord, and either an Ethernet cord or Wi-Fi. When hooking up the Magg TV Media Player with HDMI all you do is just plug in the HDMI cord to your device and then the TV. 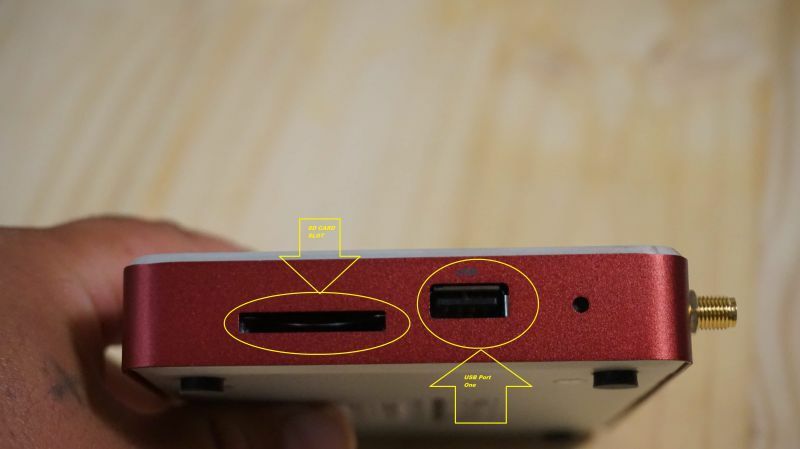 It is basically the same with RCA but you will need to follow the color code on the RCA ports. Then you plug in the power and follow the on-screen instructions for the first boot up. These instructions will allow you to set the language, Internet connection, and time zone. If you go wireless on the Internet remember to connect the antenna. You can see the antenna connected in the next photo. You can watch my how-to video on this below also. Watch my First Boot Up and OS Walk-through of the Magg TV Media Player Here! Using The Magg TV Media Player! After hooking up the MAGG TV media player you may have a few options on how to use the device. You can use it to surf the web and this is done with its built-in web browser. You can do your daily web surfing like Facebook or any other web page you want to check. You can also use the Google Play store and download apps or games. That’s right, you can play almost all mobile games like Asphalt 8 or even your Facebook games with the Magg TV Player. I tested this out by playing a few of my wife’s Facebook games like Cafe Land. The games played easily with no issue at all. I’m sure there are limits to the games played based on the GPU/CPU it looks like it would cover most older games and not 3D intensive ones just fine. We would love to hear what games you have played on this device if you have used it. On the Magg TV media player, you can also use the media player and watch movies. You have several options for movie watching and one way is your favorite app. These apps can range from Netflix, Hulu, YouTube, or HBO GO. I tested this out with Netflix and Hulu and there were no issues using these apps or watching shows. As long as your Wi-Fi signal is strong and you have a decent broadband Internet connection you should have no problem bingeing on your favorite show(s). Another way is watching a movie from your flash drive or media file. This can be done by using your stored media on a flash drive and installing the flash drive into your USB port. The going to your media player app that is in the apps or your file browser. Clicking on the file and you’re good to go. You can see this in the following video. How To Watch Movies on the Magg TV Media Player From File Or USB Drive! The Remote and Bluetooth Remote Option! 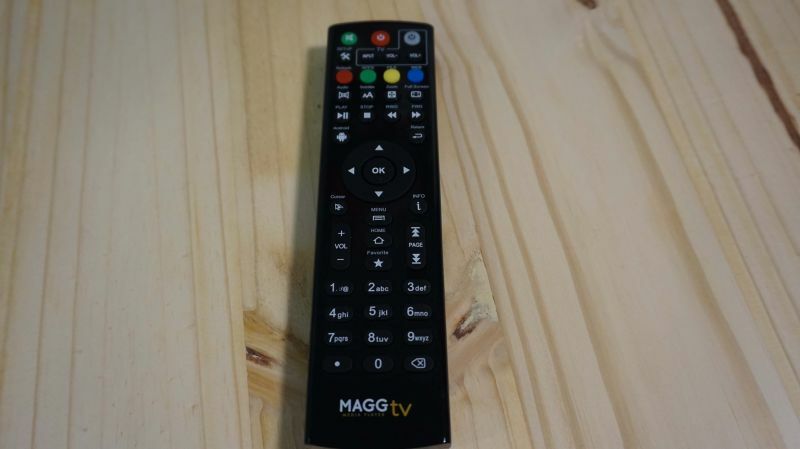 The Magg Tv Media Player comes with a Remote which is a fantastic thing and makes life easier. 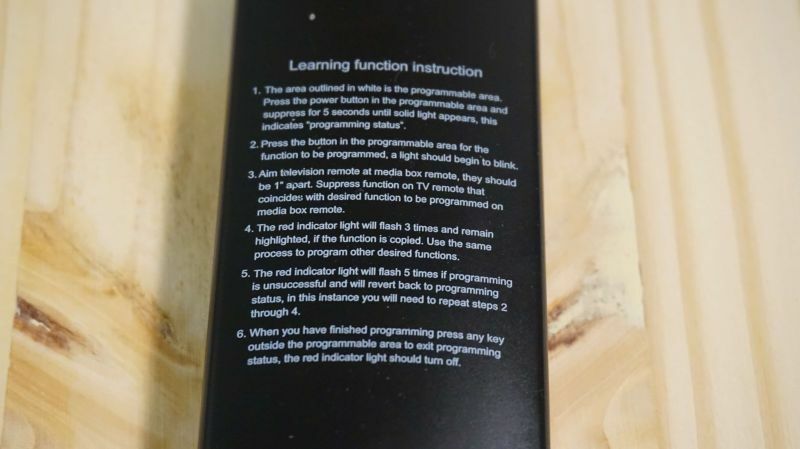 On this remote, you have many buttons and options to program your own stuff to it. 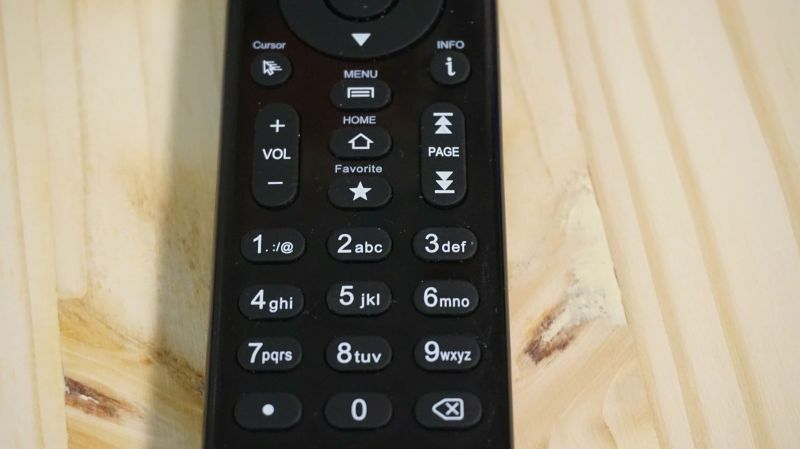 The remote has most normal buttons like number pad, volume, setup/tools, info, and mute. Some of the buttons that are not common on most remote are Web, Android, File, App, and Refresh buttons. 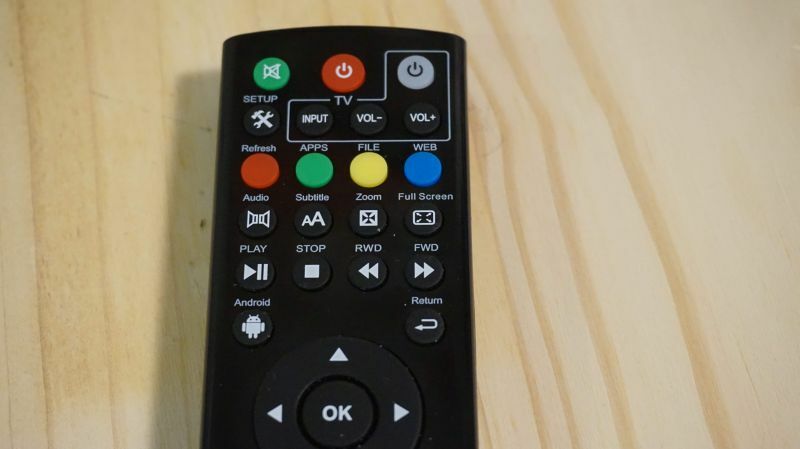 You can program this remote to work your TV or other remote controlled devices. On the back of the remote is the process to do that. I won’t go too far in depth with that but pretty much you press the power button in the TV section and aim both remote controls together until a light flashes. Then you click the button you want to activate. Let me show you the remote up close. 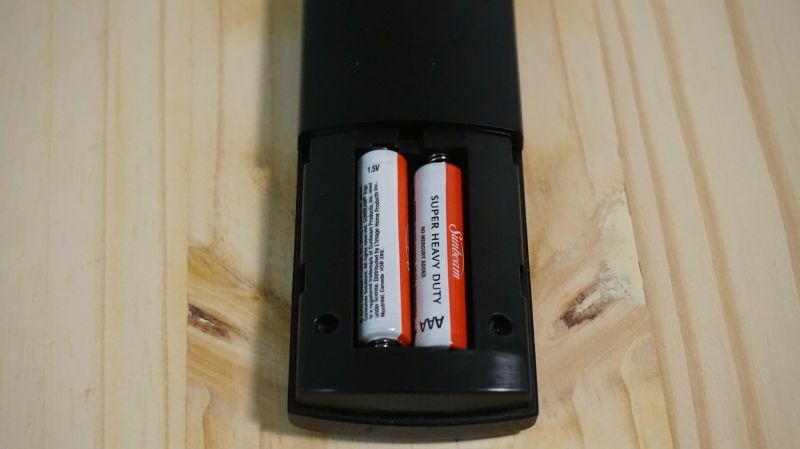 The remote will require two triple-A batteries that are not included. Now if you would rather use a Bluetooth keyboard remote you can do that also and honestly a keyboard will be better if you are surfing the web with it. You go into Bluetooth setting on the Magg TV device and power on the device you want to use. You then activate the devices Bluetooth and set to discover mode. Then find the Bluetooth device on your Magg TV Media Player screen and click connect. 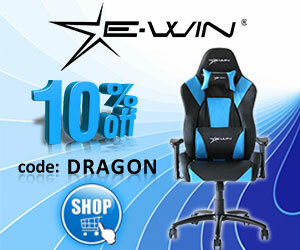 You can do this for wireless keyboards and mice also. Watch how to do that on the following video. Watch How to connect Bluetooth Device To Your Magg Tv Media Player Here! 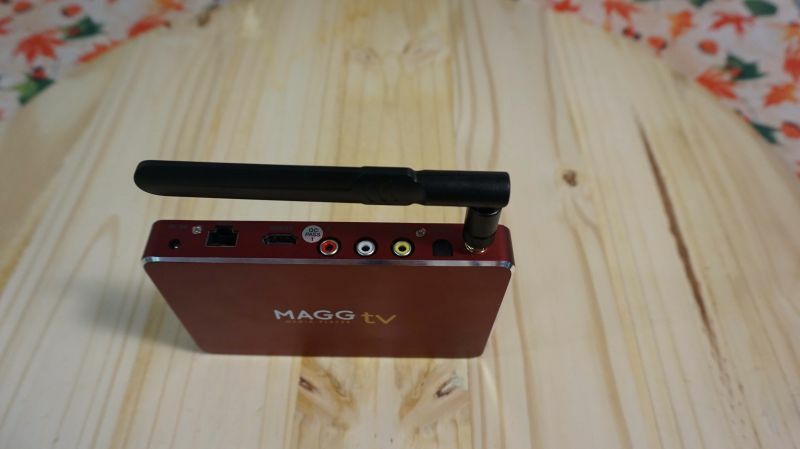 Is the Magg TV Media Player the Wave of the Future? Well to answer that, I would say Yes these devices are becoming the wave of the future. With the dual band Wi-Fi and the on-board Gbit Ethernet that makes surfing the web or watching movies seamless with no lag. The Amlogic 64bit quad-core CPU and Arm Mali-450 GPU make the device able to play some games. Don’t get me wrong you won’t be playing high-end games on high-end settings but for what it does it works well. With the option to have a keyboard and mouse it makes it a mini PC albeit on Android. Could you build your self a mini-PC to do this stuff? Yes, you could do that but this would not give you the option of the Magg TV app. Which is automatically updated by itself. Cutting your cord and saving money, in the long run, is what this device is about. Yes, you will spend some money up front but should save you some in the end and the long term. You can also use this device to add many of the other apps from Netflix to Hulu. Plus with the option to watch everything in 4K this makes it that much better than going the cheap route with a device that won’t do what this will do. You also want to make sure you look at decent Spectrum Packages to ensure you have enough bandwidth to take advantage of HD streaming, particularly if you are going to be streaming 4k to multiple devices. I will keep testing this item for a while and will update this review as it goes. To let you know how the device still works. Disclaimer! 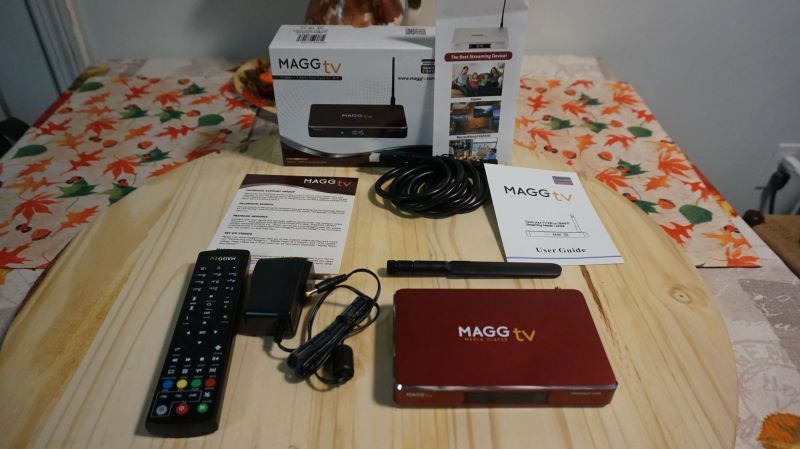 Magg Tv sent me their Premiere media player to test and review! All opinions are mine and mine alone!